A few months ago now, I received the absolute most amazing gift thus far. It came in the most perfectly designed package, a tiny black bagged case and a mermaid/ unicorn t shirt aside. It was long, and blonde… Have you guessed it yet?! 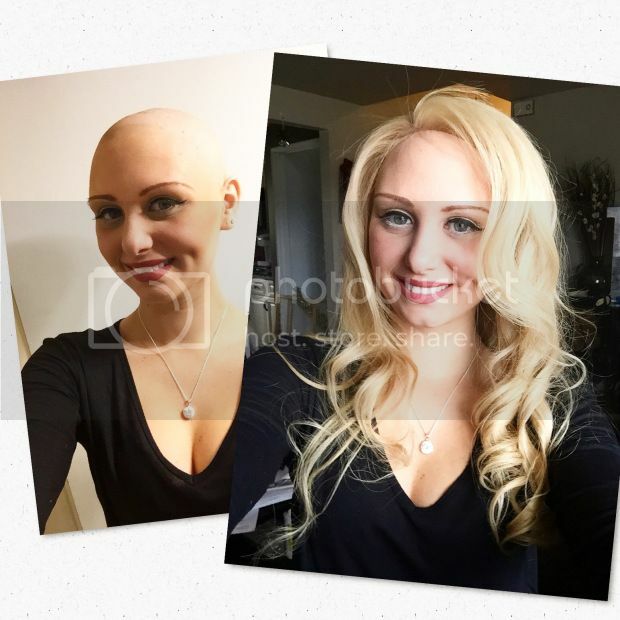 When I was first diagnosed with breast cancer back in October, the most heart breaking thing for me was facing the facts… with chemotherapy comes alopecia or hair loss. I searched and searched for a way to not lose my hair. I was even ready to sign away a $5,000.00 check for “polar caps” which in essence freezes your hair follicles at the root for protection from the drugs. However, once my surgeon heard of my plan, he about jumped out the window, then decided to share with me his experience of these “caps” at the Cleveland Clinic where he saw young girls keep their hair… But also have their cancer spread to their scalps! Um, no thank you!!!! 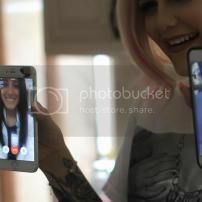 So, with my sisters and hubby by my side, my cousin and mom were on facetime, and my wedding videographer the amazingly talented Paul from Sholfilms was about to document one of the craziest things I have ever done in my life up until this point. I made the decision with my families encouragement to not let cancer take one more thing away from me… I would take away my own hair before I would ever allow my lucious locks to be lost in a bath tub or on my pillow during beauty sleep! My sister was in contact with this amazing company L’avant Garde Hair. They heard about my story and so graciously decided that they could help! They instructed me to cut my hair off in multiple ponytails (a little less drastic than brittney spears) and send it to them so they could construct a wig made out of my own hair! How absolutely incredible is that?! **I must do a special separate shout out to explain how incredibly thankful I am for L’avant Garde Hair. They literally gave me back my beauty! They made me feel pretty again and with all of that, my amazing wig was DONATED to me by them! I can’t even thank them enough for this special gift! Back to the story here:Sparkle ON! !